How to Register Your WaterSense Smart Controller: 3 Easy Steps ~ When Can I Water My Lawn? 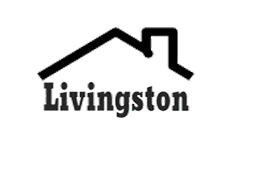 The Township of Livingston is committed to providing our consumers with high-quality drinking water and information about the drinking water that we provide. Drinking water health and safety standards are set by the US Environmental Protection Agency and the NJ Department of Environmental Protection. We regularly test water samples to ensure that our water meets these standards. Livingston’s water supply comes from a blend of production wells within the Township and bulk water supplies purchased from New Jersey American Water (NJAW). The Township owns and operates twelve production wells. Water purchased from NJAW is a blend of sources that includes: groundwater from the Brunswick Shales; the Buried Valley Aquifer and the Gneiss Rock Formation; and surface water from the Canoe Brook Reservoirs, Passaic River, Raritan River and Wanaque Reservoir. The Township also has metered interconnections with the City of East Orange for emergency use. If you are moving, a final meter reading is required. E-mail the completed form to water@livingstonnj.org. Once we have received your completed form, we will contact you to confirm a Final Reading date. Find out about Livingston’s partnership with the EPA’s WaterSense Program. – Visit the Tax Office for online Tax & Water/Sewer Payments and Water Consumption Notification. Click for Water/Sewer Rates. – Separate meters for irrigation systems are available for purchase in the Water Department. Prior to purchasing a meter, you must obtain a permit for a backflow preventer from the Building Department. Don’t forget: Call before you dig… 1-800-272-1000 to locate underground utilities!